Located across Trout Brook from the new Elmwood CT FastTrack station in West Hartford’s New Park Neighborhood is a “game changing” Transit Oriented-Mixed Use/Mixed Income 54 unit Residential/Commercial Development. 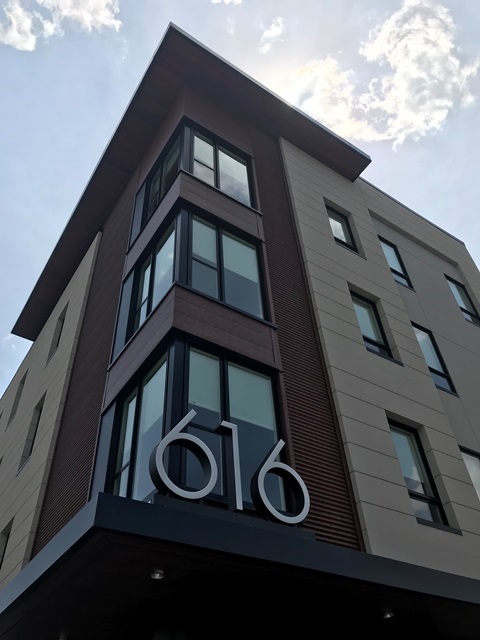 Targeted for Millennials and young urban professionals, the building at 616 New Park Avenue houses 42 one-bedroom apartments, 12 two-bedroom apartments, community space, and 3,000 square feet of retail. The design concept inside and out is classified as “Urban Industrial Modern”. The Urban part of the design is reflected in the building’s height, scale, and its siting. The 4 story building, positioned 16’ from the curb creates an urban edge that does not exist on New Park today. The development of the sidewalk/streetscape with textured pavement, building edge on one side, and street trees, street lights, and planters buffering the road edge enhance the walkability of the neighborhood. At street level, lots of glass and covered entries to retail and residential common spaces offer urban scale, invite pedestrian to interact with the building, and enliven the street experience. 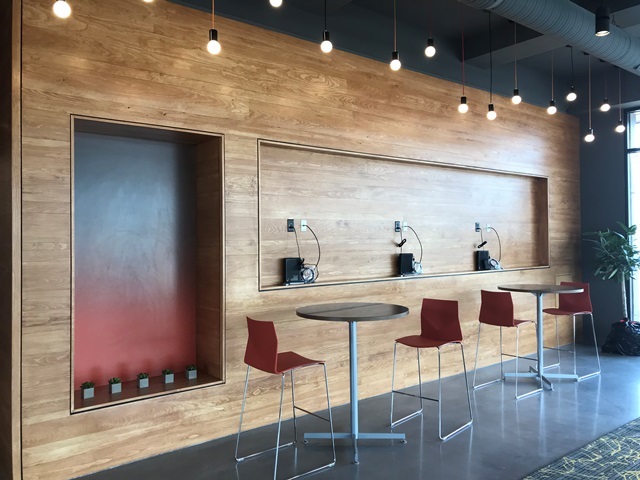 The Industrial Part is reflected in the Exterior materials consisting of a well-proportioned mix of contrasting textures of corrugated metal, cement board panels, and smooth EIFS juxtaposed that play well with the existing neighborhood context. Visual relief in both height and depth of the façade break up the massing of the building is to give interest and residential scale. The Modern part is reflected in the amenities and interior design. Interior apartments have an open loft like feel with high ceilings, large windows, and open living-dining-kitchen area. 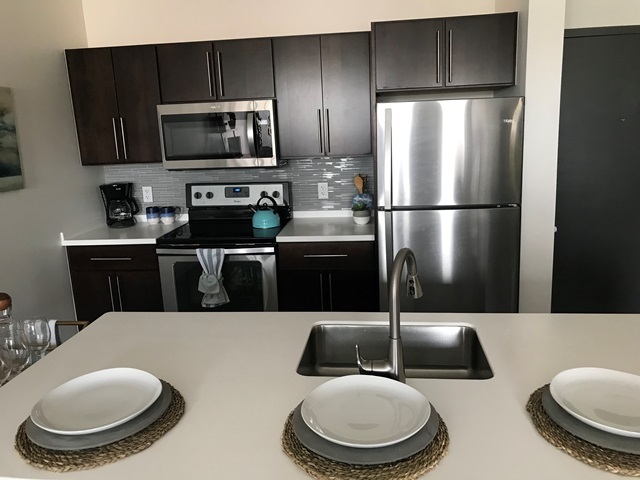 Interior materials and amenities in the apartments are fresh and modern including vinyl plank floors, stainless steel appliances, and modern lighting/plumbing fixtures. 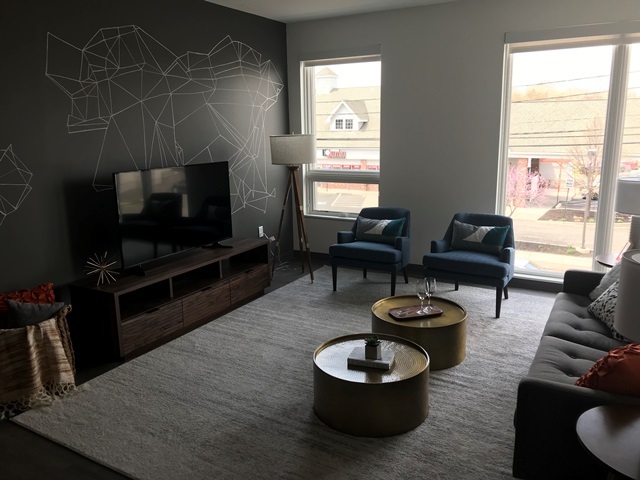 Other building and site amenities include a Fitness room, community room, WIFI, lobby with flat screen TV and gas fire place, covered parking, exterior gathering, dog walk area, lush landscaping, and community park area. 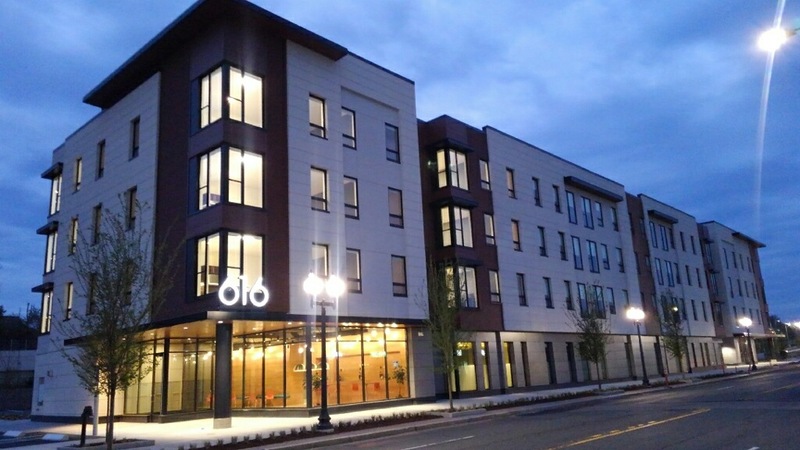 As the first mixed use development adjacent to CT FastTrack, this building has great potential to jumpstart the success of mass transit, better connect the New Park neighborhood, and offer a fresh new choice for living in West Hartford & Hartford County. 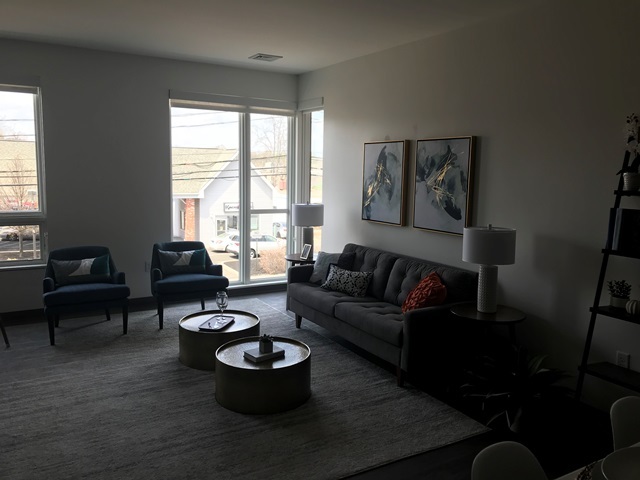 The New Park Neighborhood of Elmwood is currently and eclectic yet disconnected mix of single story industrial buildings, local restaurants, home improvement retailers/showrooms, and big box retail.